A new poll of the Texas Republican Senate primary race shows conservative candidate Ted Cruz surging to nearly within the margin of error against moderate establishment front-runner David Dewhurst. 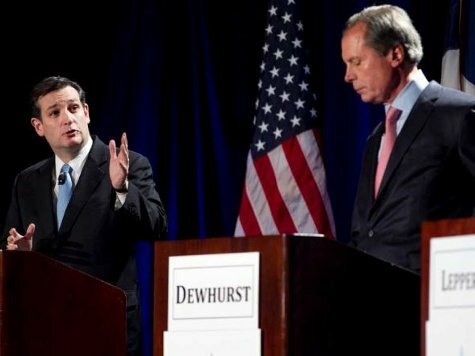 The University of Texas/Texas Tribune poll shows Dewhurst at 40 percent and Cruz at 31 percent. Cruz had been trailing the self-financed Dewhurst by over 20 percent, so this poll shows him closing strong. Early voting started last week in Texas, and the primary is on Tuesday, May 29. If no candidate receives more than 50 percent of the vote on Tuesday, the top-two vote getters will be in a run-off election, which will take place on July 31. “If they’re in a runoff, Dewhurst is in trouble,” Daron Shaw, the co-director of the poll said. The poll was conducted May 7-13 and the margin of error is +/- 3.46 percent. This is significant, because former Alaska Gov. Sarah Palin endorsed Cruz on May 10 and began making robocalls for Cruz this weekend. Cruz Campaign Manager John Drogin told Breitbart News Palin’s endorsement gave the campaign a jolt and Cruz has been touting her endorsement across Texas. This means the poll did not capture the full impact of Palin’s endorsement, as the poll was in the field three days prior to it. 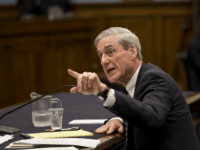 The poll is good news for the conservative Cruz, whose election many conservatives believe is the most important this election cycle (Congressional) for the future of the conservative movement.